Grip strength is absolutely everything. It is an athlete’s first indication of fatigue when training power, strength, or gymnastic ability. Whether you add the Grip4orce covers to your pull up bar, dumbbells, or over the olympic lifting or power lifting knurl of your barbell, it will help you train your muscular endurance in a way that will improve functional strength without causing over-use injuries. The result? An easier over head squat, a more powerful clean, and several added reps during your muscle-up training. 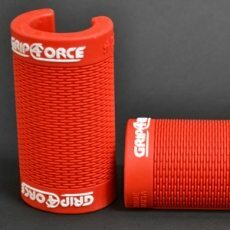 I have been using the Grip4orce hand grips in my garage gym for the past few months. I put them over my existing pull up bar and they fit nice and snug. I like the texture and they have been great for workouts. I get the extra pump and know that I am working my grip, hands and forearms like no other. I also put them on my barbell for deadlift workouts and they are great. The Grip4orce have not cracked or worn out so I believe they will last quite a while in our gym even thought we work them really hard. I would recommend the Grip4orce and will probably by another pair for my other pull up bar. 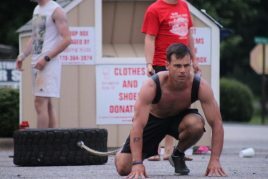 Grip4orce Reviews by Glenn A.
I am a personal trainer with clients that are into competitive power lifting. One of the three lifts is lifting a bar loaded with weight off the floor till the lifter is fully standing. Usually the weak point for most lifters in the “Dead Lift” is their grip. While there are several ways to train the grip, these gripforce aids allow the grip to be trained in all exercises. I ordered the blue and the red grips and found them to be a great aid for training and a great value. The fact these are wide in the center is desirable because bars have different diameters.These grippers teach you to grip the bar tight in every exercise,which in turn will recruit more muscle stimulation.These grippers will teach you to squeeze harder,which in turn will make you stronger all around,not just the grip.These grippers are easy to close,and then get tougher when resistance is added.They work all grip aspects,crush,support,pinch. best forearm workout I have ever had. great buy. 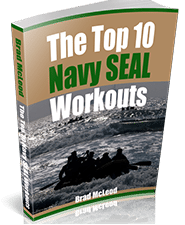 I put it on any pulling motion exercise, even pull ups/chin ups. works in perfectly with shoulder shrugs.